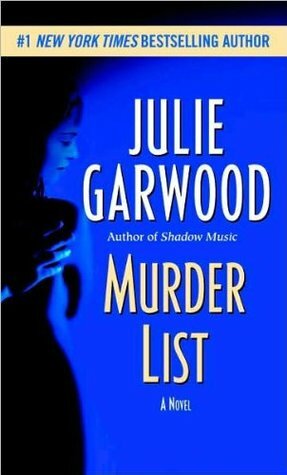 There are few authors who can weave nail-biting thrills, edge-of-your-seat drama, and romantic suspense as masterfully as Julie Garwood. Now she ratchets up the tension with Murder List, in which evil is on the hunt– and proves to be methodically organized and chillingly successful. When Chicago detective Alec Buchanan is offered a prime position with the FBI, it is the perfect opportunity to leave the Windy City and follow in his brothers’ footsteps to the top echelons of law enforcement. But first he must complete one last assignment (and one that he is not too happy about): acting as a glorified bodyguard to hotel heiress Regan Hamilton Madison. The gorgeous exec has become entangled in some potentially deadly business. Someone has e-mailed her a graphic crime-scene photo–and the victim is no stranger. Regan suspects that the trouble started when she agreed to help a journalist friend expose a shady self-help guru who preys on lonely, vulnerable women. In fact, the smooth-as-an-oil-slick Dr. Lawrence Shields may be responsible for the death of one of his devotees, which was ruled a suicide. Hoping to find some damning evidence, Regan attends a Shields seminar. At the gathering, the doctor persuades his guests to partake in an innocent little “cleansing” exercise. He asks them to make a list of the people who have hurt or deceived them over the years, posing the question: Would your world be a better place if these people ceased to exist? Treating the exercise as a game, Regan plays along. After ten minutes, Shields instructs the participants to bring their sheets of paper to the fireplace and throw them into the flames. But Regan misses this part of the program when she exits the room to take a call–and barely escapes a menacing individual in the parking lot. The experience is all but forgotten–until the first person on Regan’s list turns up dead. Shock turns to horror when other bodies from the list start to surface, as a harrowing tango of desire and death is set into motion. Now brutal murders seem to stalk her every move–and a growing attraction to Alec may compromise her safety, while stirring up tender emotions she thought she could no longer feel. Yet as the danger intensifies and a serial killer circles ever closer, Regan must discover who has turned her private revenge fantasies into grisly reality.